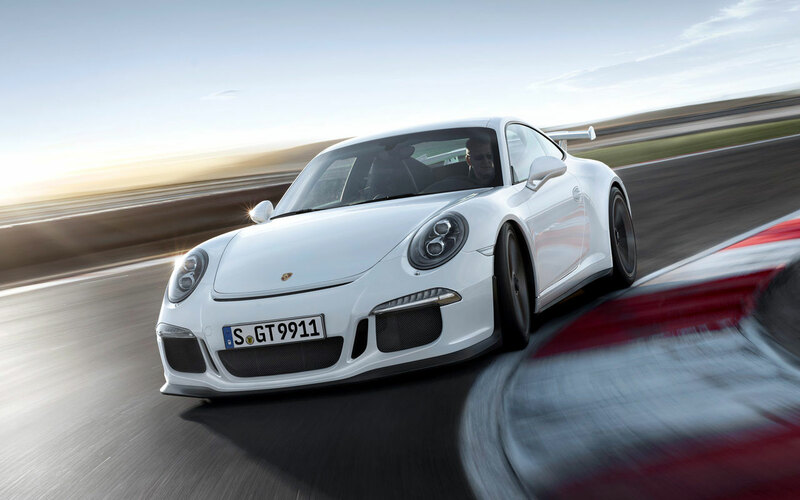 The new Porsche 911 GT3 premieres at the 2013 Geneva International Motor Show. The completely redeveloped fifth generation of the 911 GT3 continues Porsche’s pedigree in developing sports cars built with racing DNA. With an impressive lap time on the Nürburgring Nordschleife of under 7:30 minutes, the 2014 911 GT3 benefits from a new engine, transmission, body and chassis. The car now sprints from zero to 60 mph in 3.3 seconds on its way to a top track speed of 195 mph.